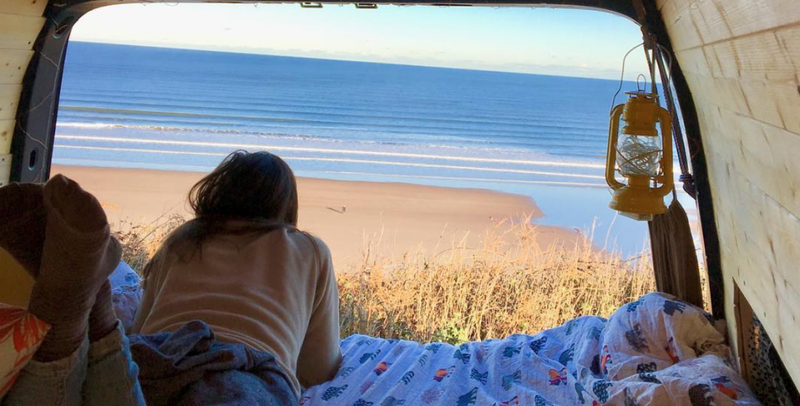 Here at Van Clan, we get a lot of questions from people about what off grid living in a camper is actually like. 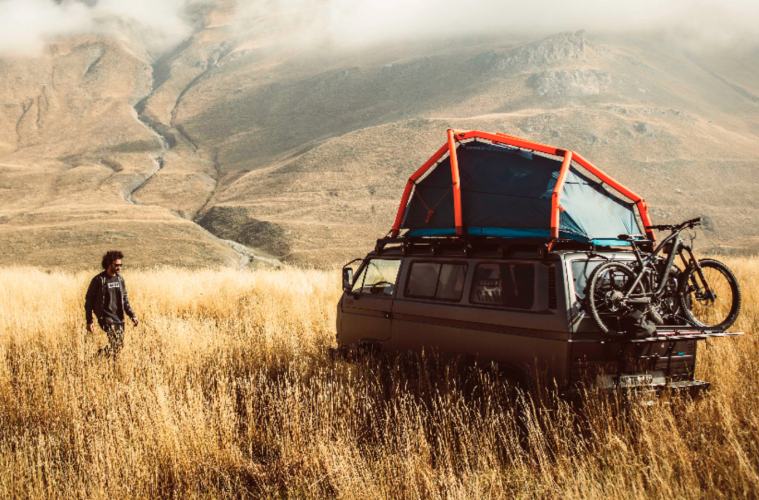 So we decided to put the question to our writers and full time vanlifers Seb & Rose. They’ve been living off the grid for the past nine months now, and can tell you about their experiences first hand! If we were going to sum off grid living up in three words it would be these – simple, rewarding and carefree. That’s not to say that there’s not a whole heap of other words fighting to make themselves known here, but those three sum up how our lives have been so far over the past nine months. 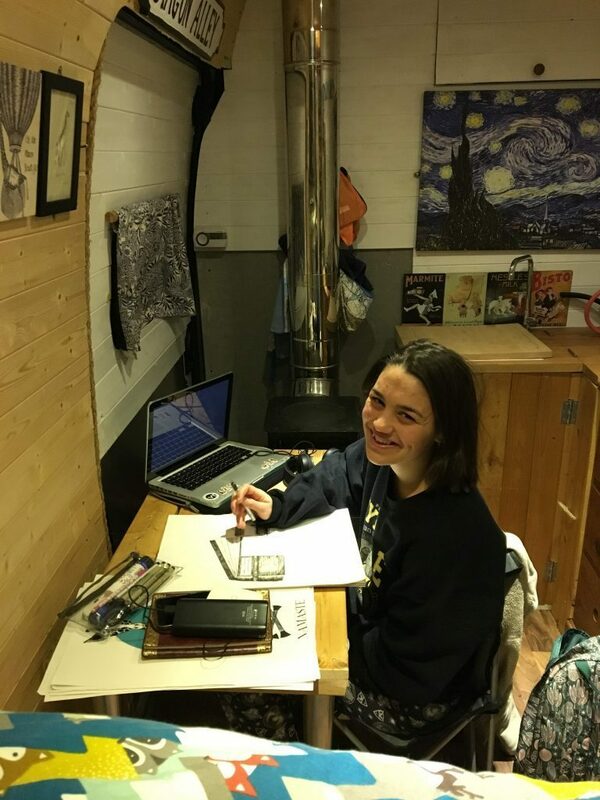 If you’re lucky enough not to have read our ramblings before (this level of humour is pretty much setting the tone for the rest of the article) then allow us to give you a brief overview of why we chose the off grid living lifestyle. We were paying over £1000 in bills and rent every month to a landlord that we had never met, and didn’t have a lot left to show for our work at the end of the month. We wanted to live a much simpler lifestyle and to hold onto our hard earned cash so that we could go and see the world. That’s why we initially chose to live off grid, and we’ve never looked back since. But we know that you don’t want to get bogged down too much with all of the specifics; you want to know things like ‘how do they poop’, ‘how do they shower’ and (for those of you that trust that we’re not backed up and smelly) ‘how do you find wild camping every night’? Well, we’ll tell you how. People who live in vans must be smelly if they don’t have a shower on board, right? Well it takes a little more effort to stay clean than just walking downstairs to your shower, but theres plenty of ways to keep the flies away. We joined a gym a few weeks before leaving our house; we tried a few out to find the ones that had the best showers, and chose a 24 hour one that has facilities open all night. Now I know some of you will think that we probably work out whilst we’re at the gym, and you’d be sort of right. Rose likes to jump on a treadmill and run to the moon and back, where as I’m more comfortable doing a little bit of stretching and then jumping into the shower as soon as the coast is clear. It’s nice to have a time dedicated to exercise though, as now that our home is on wheels we tend to drive everywhere rather than walk. We also get showered at the swimming baths sometimes, and if we’re really desperate we boil a kettle and wash in a bowl in our sink. My mother can remember being in a tin bath by the fire, so I guess it’s kind of the same thing. We have a toilet in our van. It’s a chemical one, and we use eco friendly chemicals in it. That being said, there is an unwritten rule that it’s only used for liquids, and then the other one if we really can’t wait. 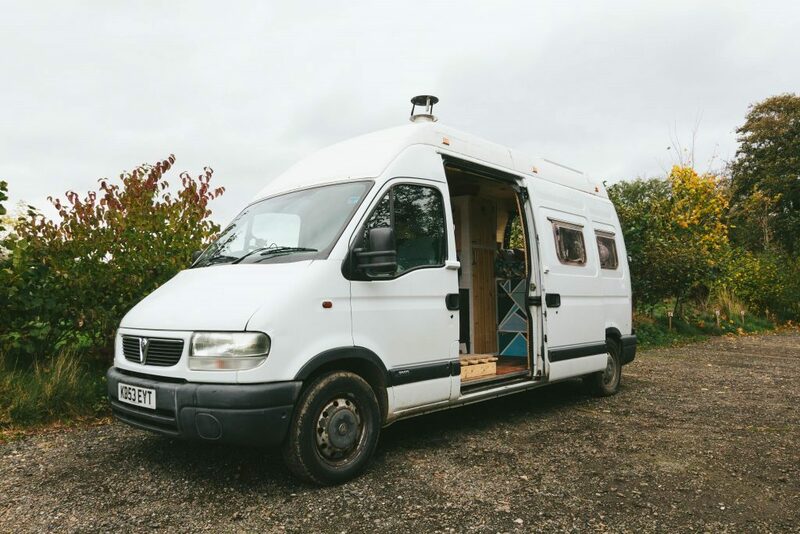 We learnt pretty quickly that 24 hour supermarkets would become our best friends whilst living off grid, but it also helps if you have a family member with an outdoor garage and toilet combo nearby. But sometimes if you gotta go then you just gotta go, which is why we have a lock on both the outside and the inside of the toilet door. There are a couple of things that are challenging about off grid living, especially when you’re tired after a long day and just want to kick back and relax. One of the things that we found tiring at first was emptying the waste water and toilet, and filling up with fresh water. We’re currently living in one place and utilising a bunch of park up spots that we’ve nabbed as our own, which means that emptying water down drains and disposing of toilet chemicals in the proper ways are not a problem. When we’ve ventured further afield, we’ve just nipped into campsites to do these bits and have soon been on our way again. It took a while to get used to at first, but now we’re a well oiled machine and can do it pretty quickly. Filling up with fresh water is much easier – we use outdoor taps at friends houses, public taps, and neighbours taps who might not know you but aren’t currently in anyway so it doesn’t matter unless they catch you (ok, the last one was exaggerating slightly). 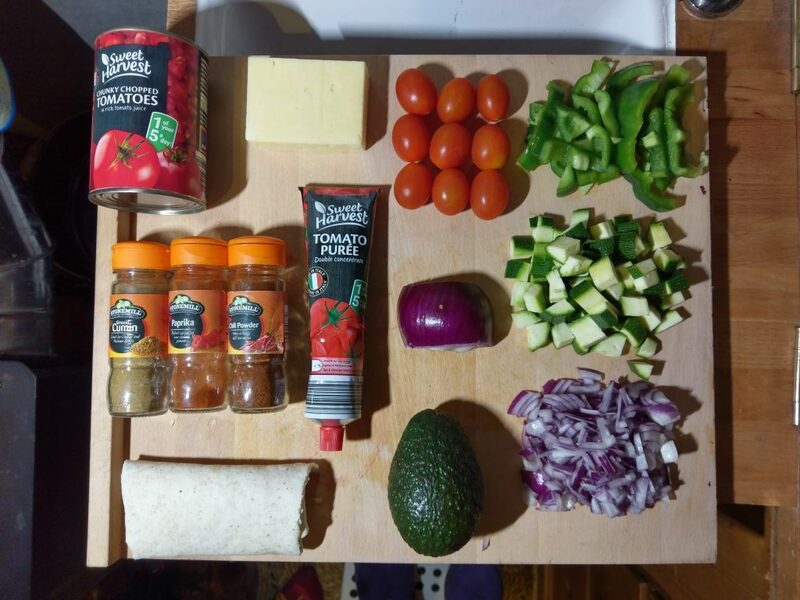 A full 25l tank can last us about a week which is plenty for cooking. We drink a lot of bottled water too and recycle the bottles at the supermarket when we’re…you know…shopping and stuff. Cooking in the van has never been an issue, in fact if anything it’s made us more inventive in the kitchen. We like to eat, which means that we like to cook, and we owe a lot of our van happiness to the XL Ridgemonkey (no, this isn’t a euphemism). They’re basically little stove top ovens, and we’ve made Calzones, Burgers, Lasagne and loads of other meals in them. Our Outwell hob has 3 hobs and a grill, which is perfect for making up a tasty meal whilst off grid living. And whats more, we bought a gas canister at the beginning of August last year that is still working ten months later. Now that’s value for money! Something tried to kill us recently. It attacked us and threatened our lives. We are of course talking about ‘The Beast From The East’, a snowy entity that hasn’t ever heard about off grid living. 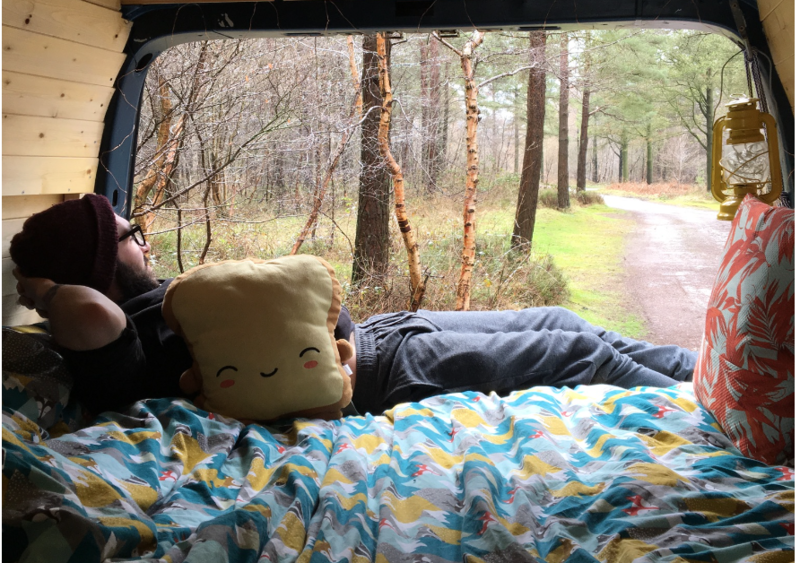 We’ve insulated our van pretty well, but our coal fire was the saving grace that kept us toasty (and more importantly alive) over the winter months. There were many nights where the temperature was minus 2 degrees C outside, but we were registering temperatures of around 22 degrees C inside. If you can find a good merchant on the road then coal is a pretty cheap option of staying warm in your van. 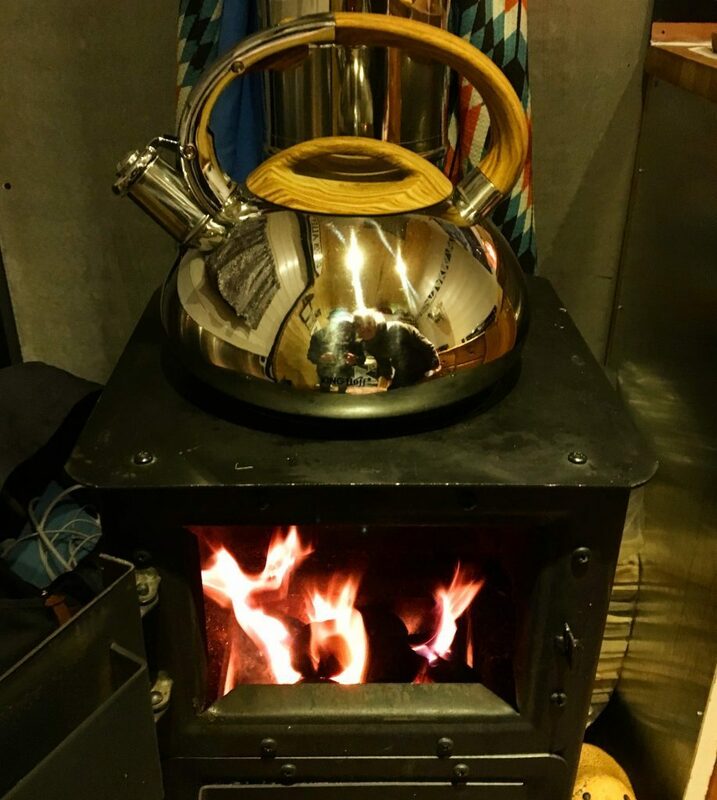 We use smokeless fuel, and although we went through a lot over the winter we didn’t spend half as much as we would have done on heating all of the rooms in our old house. 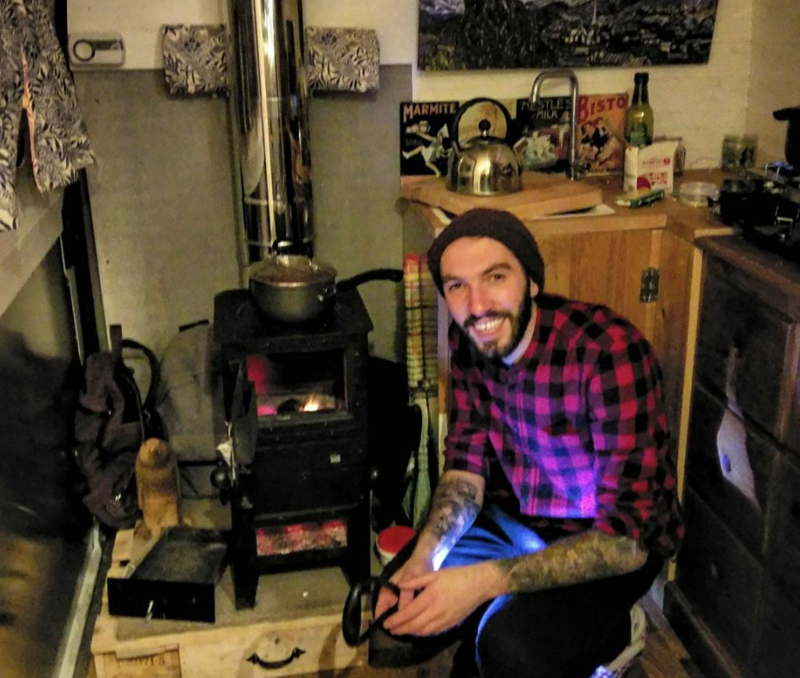 Seb likes lighting the fire; I think it makes him feel like Bear Grylls. How do you cope with spending all of your time with another person in a one-room-tin-box-on-wheels? It’s simple; you have to choose the right person to do it with! Rose isn’t just my girlfriend; she’s my best friend, (aww / gag and move on moment) and we do pretty much everything together. But everyone needs their personal space, which is why I’m sat next to the fire writing this section and she’s up on the bed reading a book. The layout of our van makes it feel as though we have two separate spaces, even though they’re only slightly divided by our toilet cupboard. But because our van is so high we can still sit up on the bed and watch TV, and because it’s such a long vehicle we can comfortably have our own sitting spaces if we need them. The truth is that people are too wrapped up in their own worlds to care about your off grid living lifestyle. Once you learn this fact, off grid living becomes a whole lot simpler. We’ve found some great spots that are quiet and out of the way, but you’re always going to get people and cars passing from time to time. We can have smoke coming out of the chimney and a window open for cooking, and people still walk past and don’t even miss a step or break their concentration. One girl ran past whilst reading and listening to music on her headphones the other day (yes we people watch – it’s not stalking if you don’t get caught). Rose made some great black out curtains for our windows, so when the lights are on inside you can’t see them from the outside. The same goes for if we park underneath a street lamp; it’s great whilst we need the light, but then our skylight curtain makes the van pitch black. Only one person has asked us to move on in nine months, and thats because we were parked outside somewhere with 24 hour security and laughing our heads off at a programme we were watching. If you see a sign that says ‘we can see and hear you’, then it’s probably best to stay away. 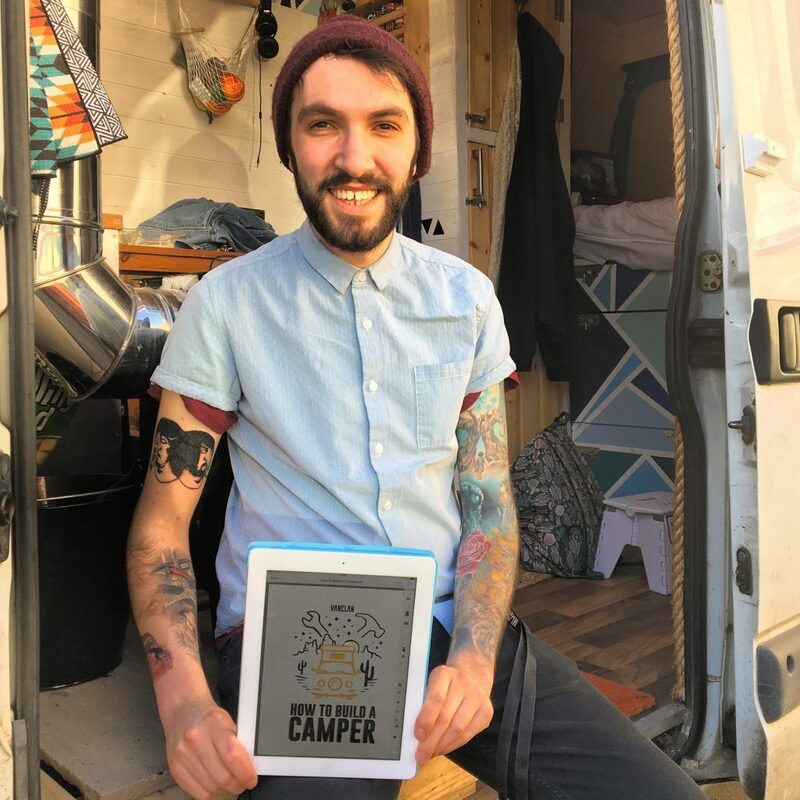 When it comes to making some extra money other than working tirelessly for Van Clan, I hand screen print my own clothing and apparel and sell it through our website vincentvanlife.com, and Seb writes books. 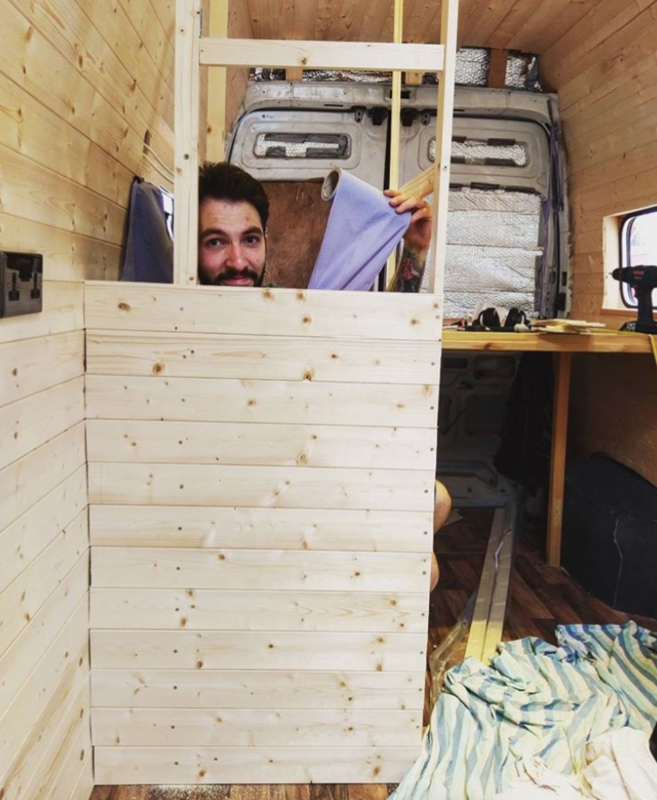 His latest e-book ‘How To Build A Camper’ is out now on the Van Clan website (it’s a great read, and not just because I’m biased). Off Grid Living – Is It for You? You’ve definitely got to be ready to give up a lot of your possessions, and you can’t always come straight in from the rain and jump in a nice hot shower. You can, however, live a simple life away from all of the clutter and hoarding that you used to do in your previous life, and you can always get cosy and dry your clothes by a nice coal fire instead. You need to ask yourself what you can live without first. We can still charge laptops and phones etc (our 12v fridge has never stopped running thanks to our solar panels), but we certainly don’t miss sitting in front of the TV for hours on end. It’s a busier way of life in some respects as you have to get out there and do things, but no one likes a dull day do they? We would thoroughly recommend off grid living to everyone. We know that it wouldn’t be everyones cup of tea, but if you don’t try this simple lifestyle for yourself then you’ll never fully believe us. Until then, let us say that its been the best move that we’ve ever made, and we hope to see you on the road with us real soon! A sneak peak of next years Christmas card…. 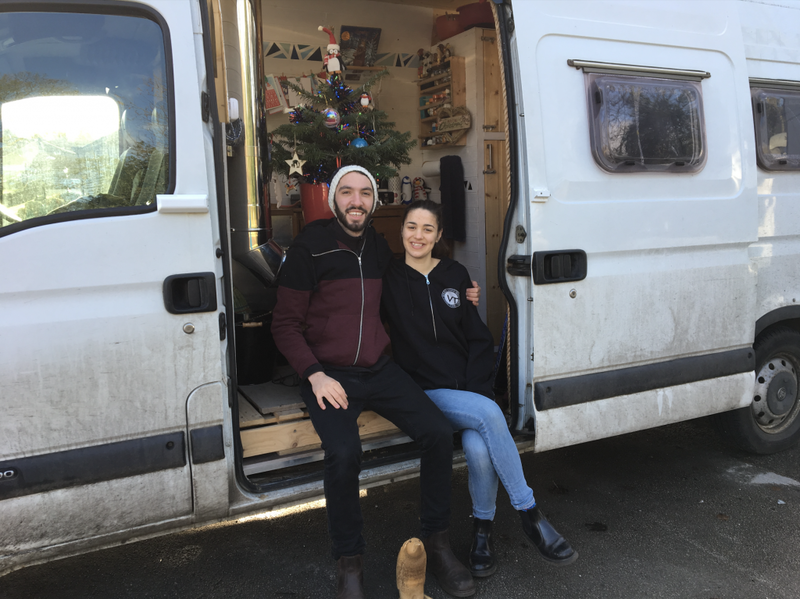 Check our Rose and Seb’s Instagram @vincentvanlife, and visit their website vincentvanlife.com to ask them any more questions you might have. 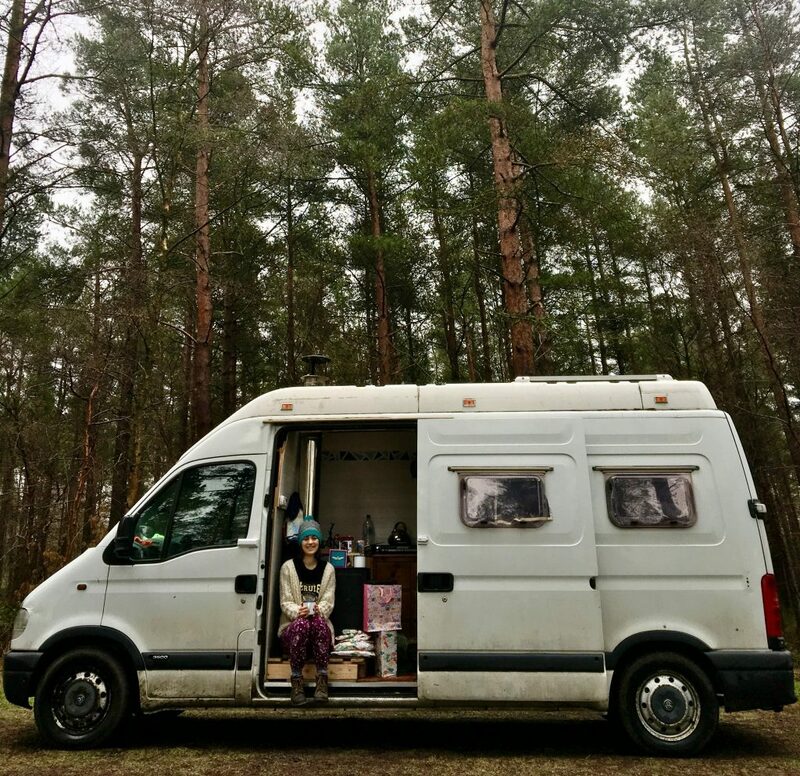 Join the Van Clan on Facebook, Twitter and Instagram for more Off Grid Living stories and tales of the Living The Vanlife.